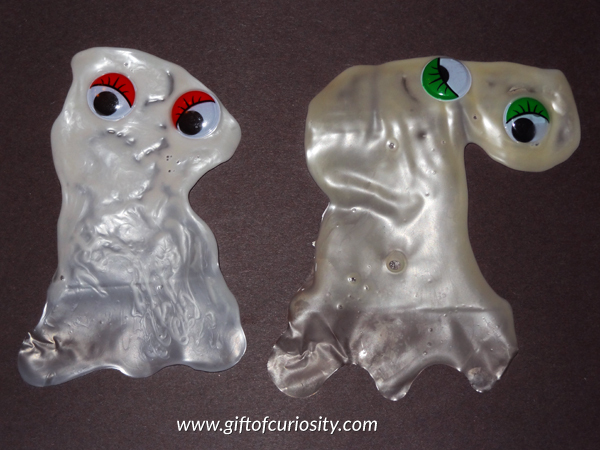 My kids and I made these glue ghosts last year as part of our Halloween celebrations. 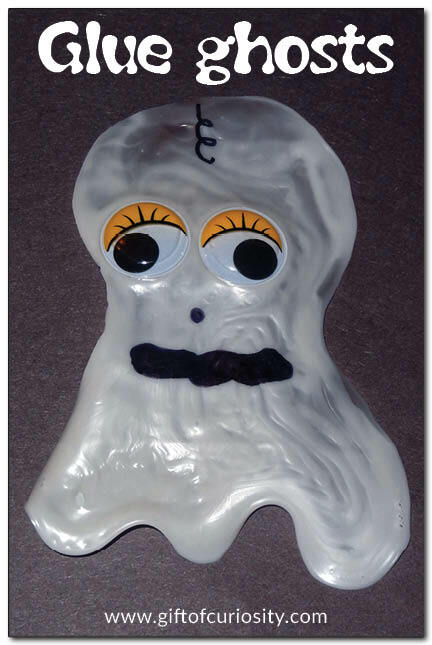 Using just glue, these glue ghosts ended up with a white translucent look that was just perfect for a ghost. 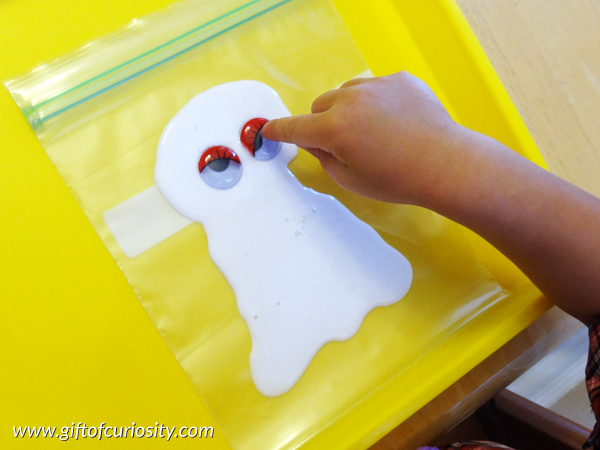 And as I learned while we did this activity, these glue ghosts are a really great Halloween fine motor craft due to all the work required to squeeze so much glue out of the bottle! 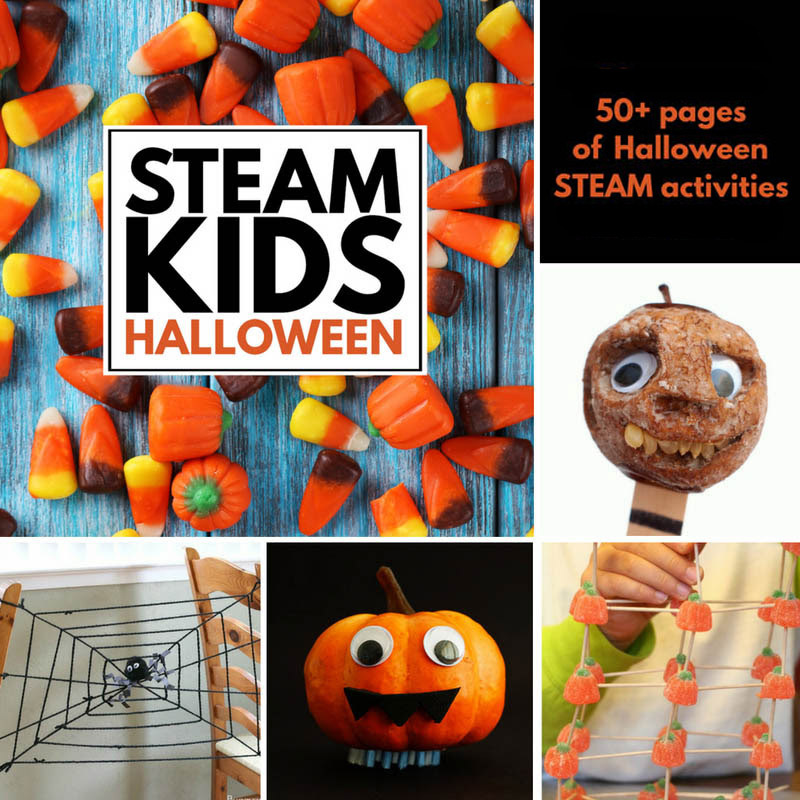 Note: You’ll find more Halloween crafts, activities, and printables on my Halloween activities for kids page. 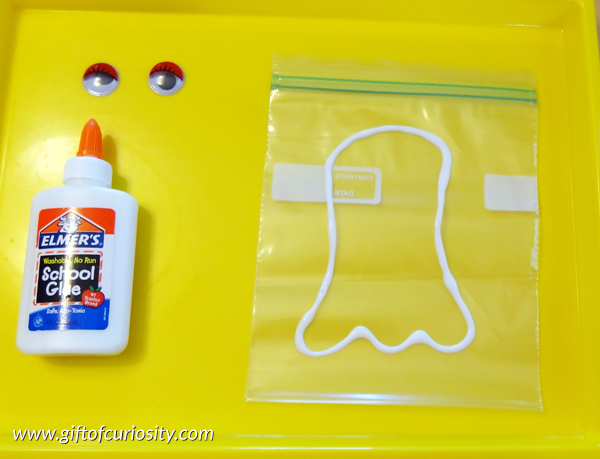 These glue ghosts require very few materials. 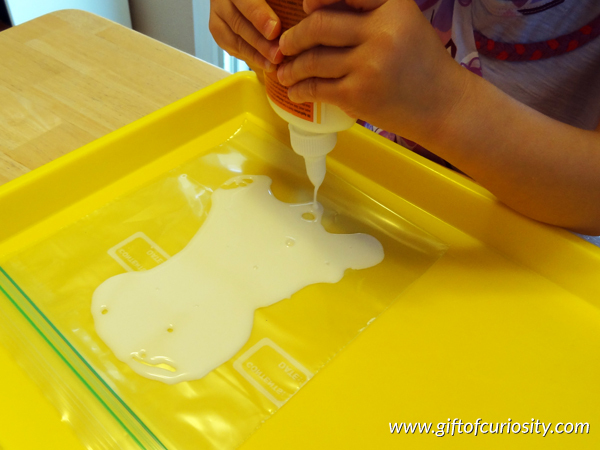 The key materials are a plastic food storage bag and plenty of glue. We also used googly eyes because, hey, life’s more fun with googly eyes! I placed all of the materials on an easy-to-clean tray. To get my kids started, I drew the outline of a ghost on the plastic food storage bag. However, older kids would be able to do this step by themselves. 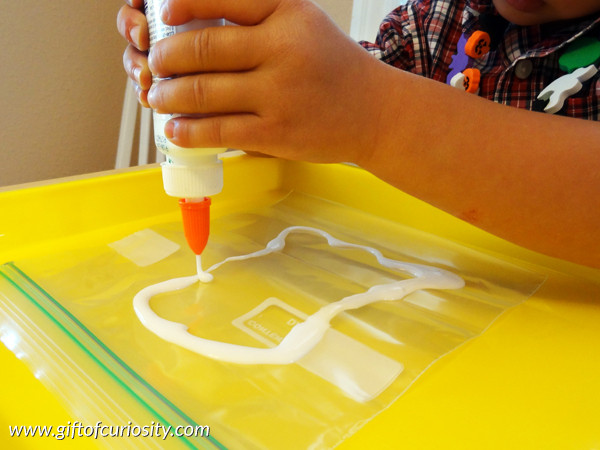 This next part is where this turns from a regular Halloween craft into a Halloween fine motor craft. My kids had to squeeze and squeeze the glue to fill in the entire outline I had created for them. This was easier said than done. My kids’ fingers got quite tired during this part, but they kept squeezing and squeezing until the outline was filled in. Once their ghosts were filled in with glue, we added the goggly eyes. Due to the amount of glue used, these ghosts took a couple of days to dry. But once they were dry, they easily peeled off of the plastic food storage bag. At this point, your children have the option to add additional decorations with permanent makers. But these ghosts also look pretty good just by themselves.